My Maltese Havanese dog Chloe is such a big cuddly bug. She follows me everywhere I go, she won't leave my side for a minute. She's sooooo attached to me! She loves beds and her blankie. When I get home my Maltese Havanese runs past everyone else and just wants me. She will jump on me until I pick her up. She does circles, but I LOVE HER SO MUCH! 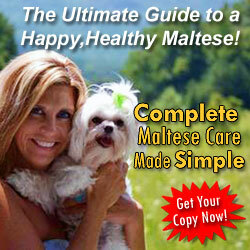 My Maltese Havanese dog Scruffy is an extremely affectionate, intelligent dog. He was 1 yr. old on Oct. 23, 2010. He trained relatively easy. Now he lets me know when he wants to go out. He will bark or give my arm a shove to let me know. I ask him what do you want and he runs over to the slider to be let out. Scruffy has been a blessing to me. I live alone and he is great company. He gets along with other dogs and loves to play. I would love to see him around a kitty. It's really ironic that all my life I was afraid of dogs, but because of my sisters' dogs I have become a dog lover now. The other funny thing is that I was always a cat person and still love them, but my puppy is my baby now. 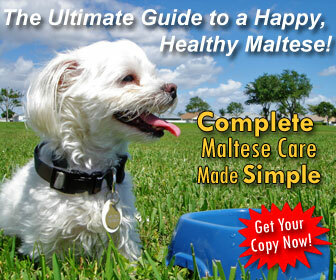 I would recommend Maltese Havanese dogs to anyone who wants to be loved to death and cannot do too much walking. They like to go out, but don't require a long distance stroll. Just give them love, discipline, and play time and you as well as the dog will be very happy! Oh as an after thought my boy is a barker. We are working on this issue daily! Scruffy sounds perfect, but I live in an apt. Building and the barking may be problematic? Also, a picture would be helpful. Very interested!!!! I would have loved to see a picture of Scruffy. 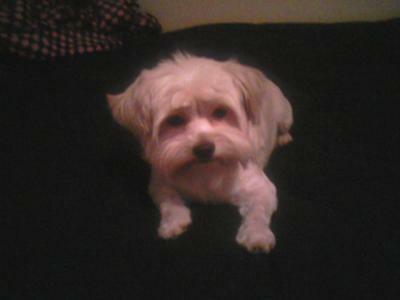 I have a year old Morkie (Maltese mother/Yorkie father) named Muffit. She's a lot like your Scruffy. She has a problem with barking when she is excited or hears someone at the door. It gets very high-pitched if she knows them. Anyhow, I filled a can with marbles. When she starts barking, I just give the can a good, loud shake. Stops that barking right now! I love it! She is barking a whole lot less often. Now I just give her the "eye" and tell her "shhss!" Hello! 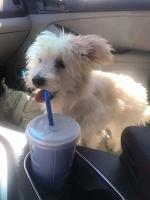 I just got my Havamalt (Havanese Maltese mix) Odie a month and a half ago. He just turned 5 years old a few weeks ago. We are slowly trying to get to know one another. So far, he is very attached to me, and is very territorial. Whenever my male family member, especially my father,he goes ballistic! It just seems to get worse and worse! Now, he starting to bark and go crazy when with the postal workers! His previous owners said they did not have time for him, that is why they gave him to me. I don't know much about his past since there is a communication barrier. The owner owns a salon, and Odie did not bark when new customers would come in. But now, in my house, he is just barking!! I am understanding this, and not knowing how to handle this. Any help would be greatly appreciated. Sounds like he wants to be your protector. Have you tried some obedience classes, that might help for you to show him that you are there to take care of him and that you are the 'Alpha' dog. 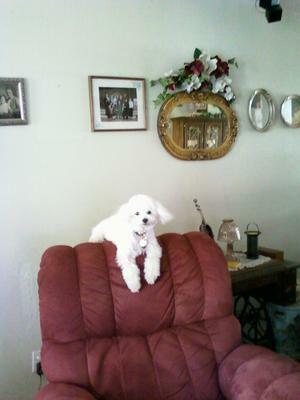 My maltese was the same when I got him, the obedience classes really helped with the aggressiveness and the barking. Good luck and hope you find a solution. I own a Shellie and two Maltese mix dogs, 3 in all, and my Shellie who is 13 is a barker by nature, and we could accept it to some degree, but recently we lost our oldest Shellie and since this one barks even when you just get up from a chair. I spoke to a dog trainer who suggested keeping a spray bottle of Bitter Apple on hand....close by even in your pocket so every time he barks you spray it in his mouth and say no barking, and soon all he will have to do is see the bottle and he won't bark. Well I have been doing this with all 3 dogs and it is working. The key to your success is being consistent. I bought a bottle of Bitter Apple at your local pet store and put it in several smaller spray bottles some could keep it on hand. my dogs hate the vacuum and it even works when itget out the vacuum! Hope this might be a helpful suggestion, good luck! 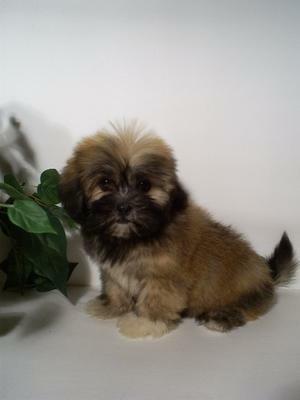 The first most exciting part of welcoming one of these Maltese Havanese dogs into our lives is naming our little puppy. We came up a lot of names, but when I said "Precious", my son agreed immediately that the puppy's name is "Precious". Our Havamalt Precious is so much fun, for a first time dog owner, she fits in our family (2 kids and 2 rabbits) nicely. Precious is such a "people" dog, she just wants to be with any, human big or small. We are working with a trainer to get Precious to play gently with our rabbits. Our Maltese Havanese dog is definitely our Precious little baby. Wow, how do I began? First of all my Havamalt is really smart... or should I say clever. He is very affectionate and loves being with the whole family; which consist of my husband and I.
I must say I wouldn't trade my Havanese Maltese mix for nothing in this world. He keeps us laughing and LOVES attention. We love him dearly and because we don't have children, he is mommy and daddy's first child. I have a 4 year old Havamalt, and absolutely love her! In fact, the entire neighborhood loves her. One of my neighbors wants a puppy, but I'm having a hard time finding a reputable breeder. I'm in CA, but location isn't an issue. The response I'm getting from some breeders is "Everyone wants Havanese, so we aren't planning any Havamalt litters." I got a Havamalt named Bella for my wife after we lost our Maltese. I think I may have rescued her from a puppy mill. The breeder was showing me two puppies she had ready for adoption. This took place in a shopping center parking lot out of her car. As we were talking this scruffy little white ball of fur, stuck her head between the front seats of the car, as if to be saying, "take me". At first the breeder didn't want to give her up because she said that she had not cleaned her for sale. I insisted on taking her and got. When we got her home she had ticks that had to be taken care of. Although she was supposed to be my wife's, she bonded to me. Now I can't go anywhere without her wanting to go along. She has a doggie dog door and most of the time she will use it to go outside to potty. If she is upset with us for not taking her with us when we go out, she will sometime use the carpet, just to show us. I've never really been a dog person, but since we got my Havamalt I don't know what I would do with out her. 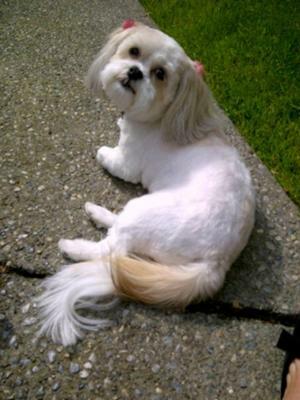 Dr. Waffles is a Maltese Havanese dog mix. I just got my Havamalt yesterday and he is the sweetest, cutest dog on Earth. Look, judge for yourself! awwwwww How cute! You will have so much fun. I love that name! He is the cutest Dr ever. 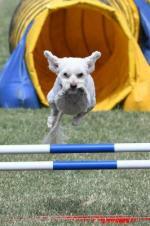 Aja is a six year old Havanese Maltese mix, we have had her since she was eight weeks old. She is absolutely the best dog ever. She is so loving and friendly. Loves to play, I have taught her to play hide and seek around the house and other games, and she also loves to rest. She will follow us wherever we go, and loves to cuddle with anyone willing to hold her. She barely sheds, if at all. She rarely barks, only if we have a deer in the backyard does she go into protect mode. She listens very well, but most of the time needs no instruction at all. We have a dog door for our Havamalt that she uses anytime she needs to. Shes very calm and loves other dogs, and animals, she especially loves to play with my friends guinea pig. She sleeps in my bed every night, and is basically another person in the family. She's a famous dog among our friends and family, and the groomers at petsmart fight over who gets to groom her. I love my Maltese Havanese mix very much, and can't imagine a better dog. the rescue place the next county over has 2 male puppies, havamalts, they also are going to have some born this week so I told them yes I want one, a female. Her name is going to be called Lucy also. they are so cute and will be a good companion. I miss my shadow Trixie, if she couldn't find me in the house or something she'd cry Where's momma. she, her dad and grandmother and her sister all could talk. they are a cocker-chihuaha-pom-dachscand mix, Fefe she's 16 1/2. I had to put her sister down in May, she got really bad. but anyways I miss her like nuts, I had them since the day they were born. But I wanted another little dog and had called about a rescued pom but it was gone so she called me to tell me about these puppies. don't know why the lady who has them aren't selling them but that's ok I'll take one. they are charging a little higher though for adopting one. 125.00 but that's ok.It covers everything including fixing her when she's old enough. I can't wait to get her. I have a Havanese Lucy, and a Maltese Desi. They had 2 litters and i keeped one the first time and i just love them all. I have 4 puppy this time and they go fast. Hava-Malt's are just as smart as there parent's, and a lot of fun. Aja is very pretty, I am glad you have a Hava-Malt,hey are very good dog's. I call all my dogs kid's,when they are out running in the yard and i want them to cme in, all i hae to do is say come kids time to go in , and they all come running. My Maltese Havanese dog is very sweet. She will do any thing for you attantion. Plays ball with you, chases her toys with run around the house with high engery. Loves to lay on her back and get her tummy rubbed, sleeps right next to me with her front feet laying across her face. We took her to beach for first and she ran in the water then ran all over the beach, she was so happy. I just love Maltese Havanese dogs. I am looking forward to breeding her and having more puppies around the house to play with.